Our law firm, located in DuPage County, provides representation in many areas. We focus on divorce and family law; sexual harassment and employment discrimination; and criminal defense. We litigate in all areas related to these practice areas and devote our knowledge and skill towards resolutions which are favorable to our clients. Mirabella, Kincaid, Frederick & Mirabella, LLC was established by Joseph F. Mirabella, Sr. in 1949. We have represented a diverse clientele throughout Chicagoland, including prominent local citizens, employees, developers, large and small corporations, estates, and seriously injured members of the community. In addition to the referrals we receive from our existing clients, we also obtain many referrals from other attorneys who recognize our litigation skills and broad experience in the law. For a skilled and experienced Illinois attorney, contact us at our Wheaton office. The attorneys at our firm have more than 200 years of combined experience, and we use that experience to help our clients in matters involving divorce and family law, sexual harassment and employment discrimination, personal injury, probate, and criminal defense. We have held leadership positions in state and local bar associations, and have been certified as Guardians ad Litem, attorneys for children, mediation and collaborative law. The attorneys at our firm are recognized by our peers as skilled litigators. We are admitted to practice before all Illinois courts, and a range of United States District and Appeals Courts. At one point or another, many families are forced to deal with issues of divorce and family law. The team at Mirabella, Kincaid, Frederick & Mirabella has helped many clients through the divorce process, while taking the time to fully understand their needs and educating them about the law. 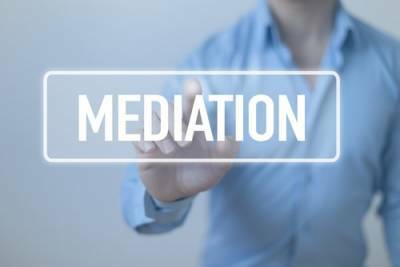 In addition to divorce, we have vast experience in all areas of family law including property division, spousal maintenance, child custody and visitation, child support, and post-decree modifications. The attorneys at Mirabella, Kincaid, Frederick & Mirabella, LLC, clearly understand the sensitive nature of workplace sexual harassment. Nobody deserves to be made uncomfortable by unwanted sexual advances on the job, and our team is committed to protecting the rights of victims. We also are well-versed in other areas of employment law, as well, including employment discrimination, and will fight for workers discriminated against on the basis of gender, race, age, disability, and national origin. When facing criminal charges, it is vital to fully understand the nature of the allegations and all available options. We are equipped to investigate and defend cases including DUI, drug charges, traffic offenses, theft and shoplifting, and other misdemeanor and felony offenses. Our skilled team is also committed to helping individuals clear their criminal records through the expungement process. We recognize the impact that a criminal history can have a person&apos;s on housing, employment, and educational opportunities, and are prepared to minimize that impact whenever possible. I highly recommend the Law Firm of Mirabella, Kincaid, Frederick & MIrabella. I have recently been blessed with the opportunity to work with Lynn Mirabella and Joshua Bedwell on a complex and extensive family law case. Both Lynn and Joshua have illustrated a level of professionalism and integrity that I consider extraordinary in business. They have an innate ability to exercise compassion, pay attention to detail, provide sound advice, and move you in the right direction through intellectual and strategic decision making. I am extremely grateful that I landed in their hands when it came down to matters of the heart. Thank you for everything! George Frederick was most helpful when I had to file a complaint with the state concerning sexual harassment / retaliati...on in my workplace. He and his team made the difficult situation as stress-free as possible, and helped to bring about a fair settlement rather quickly. I would recommend George to anyone who needs help finding a fair and just solution to their problem. Thank you George! I wouldn't hesitate to recommend Attorney Joshua Bedwell at Mirabella, Kincaid, Frederick & Mirabella, LLC to anyone facing the challenges of a divorce. He provided excellent guidance and a much needed voice of reason throughout a less than amicable parting of ways. Thank you for your assistance with the divorce process. At Mirabella, Kincaid, Frederick & Mirabella, we understand that nothing is more important than family. That is why we remain committed to the service of families throughout northern Illinois. We recognize the difficulties that many parents face during the legal process in cases of all types and are proud to offer a family-friendly waiting area for the times when children must accompany their parents to our office. In addition, we are dedicated to advocating for best interests of children throughout any family law-related matter. Whether at the negotiating table, in the courtroom, or serving as a guardian ad litem in more complicated cases, our attorneys realize that legal proceedings can be difficult on children and make every effort to protect their well-being. For guidance with your case, contact our attorneys at 630-665-7300. We will answer your questions, explain the process relevant to your case, and advise how best to proceed. Our firm is located in Wheaton, Illinois, and we work with clients throughout the Chicagoland area, including, DuPage, Kane, Kendall and Will Counties. Mirabella, Kincaid, Frederick & Mirabella, LLC, is very proud to announce that it has hired the Hon. John W. Demling (Ret.) as an of counsel attorney with the firm.